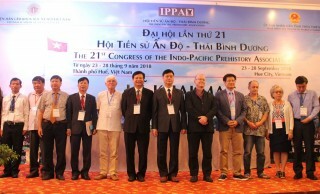 Results for "2018 Asia Pacific ICH NGO Conference"
There were many different themes reported in the conference, including past archaeology from the earliest locations of people living in Indo-Pacific region to recent time. 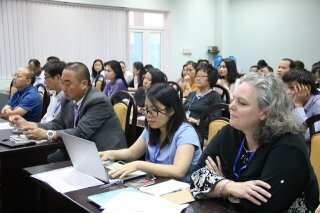 The workshop lasted for two days from 20 to 21 June, attracting the participation of more than 30 professors and specialists in social work sector in countries such as USA, Australia, Korea, Japan, China, etc. This is the 6th workshop the ELSA OutReach program of the Endoscopic and Laparoscopic Surgeons of Asia-Pacific has held in Vietnam for the past three years. 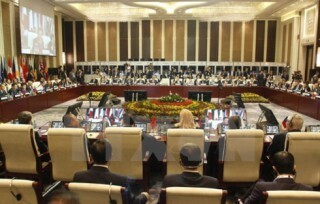 On the morning of April 18, the provincial Propaganda and Training Commission held the press conference of April 2018. 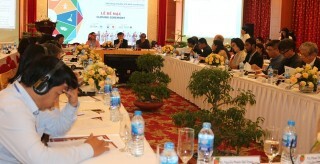 Attending and chairing the conference was Deputy Permanent Secretary of the Provincial Party Committee Bui Thanh Ha. In the framework of APEC Policy Partnership on Women and the Economy (PPWE 2) second meeting, the “Smart technology and APEC Women’s Economic Empowerment in the 4th Industrial Revolution” forum was organized and presided by Asia Pacific Women’s Information Network Center (APWINC) from Sookmyung Women’s University (SMU), Republic of Korea on September 28 in Hue city. 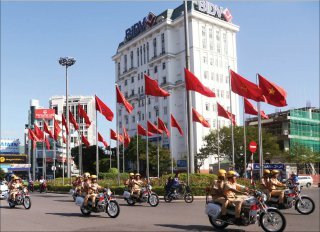 Identifying the activities of the Asia-Pacific Economic Cooperation (APEC 2017) forum as a very important political, diplomatic and economic event, the Thua Thien Hue Provincial Police has simultaneously implemented the measures and solutions to ensure the key security, social order and safety in the area. A Vietnamese delegation led by Ambassador Le Thi Tuyet Mai participated in the Asia-Europe Meeting (ASEM) conference on women’s economic empowerment in Vilnius, Lithuania, on May 25-26.